​ Pollution challenges encountered during the mining of various sulfide ore bodies. About right years ago, we began developing a very economical "biological" response that uses floating bio-reactors to mimic (and control and measure) what happens in nature. The capital and the operating costs of the traditional responses are enormous; so we thought the time was right to offer a more affordable alternative. 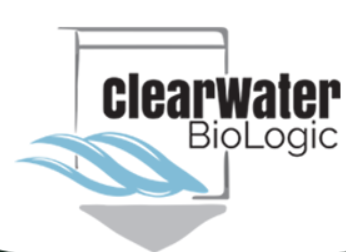 We at Clearwater BioLogic have developed a system that uses natural means to take sulfate out of water. We are able to remove sulfate even from concentrations of more than 1000 mg/L. Because our system operates under water, it works effectively in all seasons, including when air temperatures are 40 below zero. We can handle any rate of water flow. Even more important, we can reduce sulfate to 10 mg/L or to zero, depending on the goal. Because we use a modular system and inexpensive recycled materials with a huge surface area, our process has an excellent cost benefit relationship. Using natural, cost-effective methods, we can help ensure that water discharged from mining lands does not harm wild rice, while also providing a more economical method for mining companies to meet the sulfate standards of Minnesota.